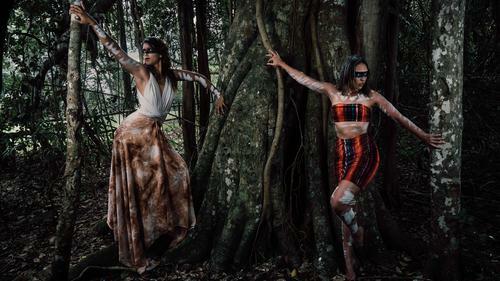 The 14 July event, supported by YMCA NSW, will feature Indigenous and non-Indigenous models wearing fashion designed by up-and-coming artists in the community. The show will also feature performances from the Taree High Indigenous Dance Group, Jamaine Wilesmith and Dallas Webster, also known as Nova Gina from the Dreamtime Divas. Tickets are available now from Jodadi, Biripi Medical Centre, Manning Aquatic Leisure Centre, Great Lakes Aquatic and Leisure Centre and Taree High School. All proceeds from the event will go towards programs supporting young people in the Taree community. The NAIDOC Indigenous Fashion Show has been made possible by the generosity of the following local businesses: BIRIPI Aboriginal Corporation, Catholic Care Social Services, Manning Valley Neighbourhood Services, Manning River Hotel, Hogan Plumbing Group, Elders Real Estate Taree, Manning Valley Race Club, Burrun Dalai Aboriginal Corporation, Sports Alcorn, Manning Support Services, Hang Fire Disco, Office Works Taree and Bushland Tukka Café and Catering. For more information about the event, please contact: Darren Mumford, 0417 073 260 or Trisha Pearson, 0412 324 902. YMCA NSW is a community not-for-profit organisation committed to healthy living, empowerment and positive social impact. We believe in the power of inspired young people to effect positive change in the world. We support this by offering a range of programs and services at more than 100 locations across NSW and the ACT. YMCA NSW is recognised as a Safeguarding Children accredited organisation by the Australian Childhood Foundation. To find out more, visit www.ymcansw.org.au.